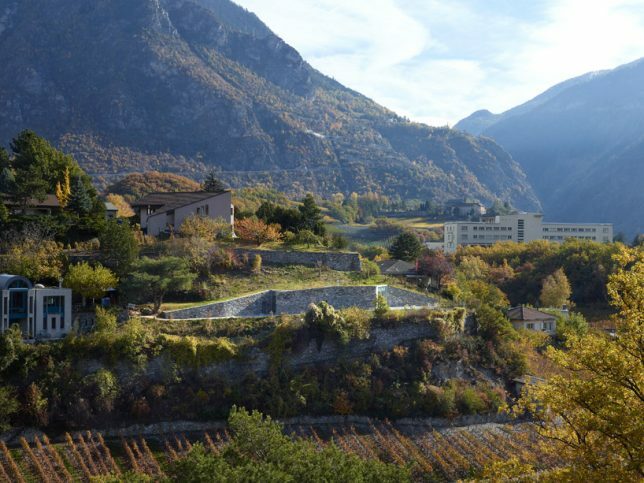 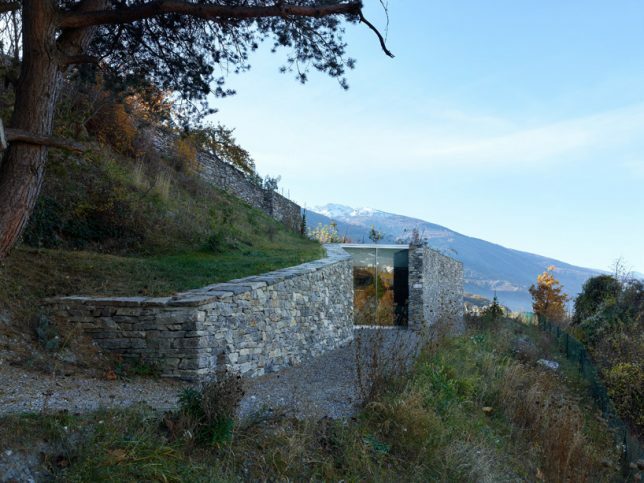 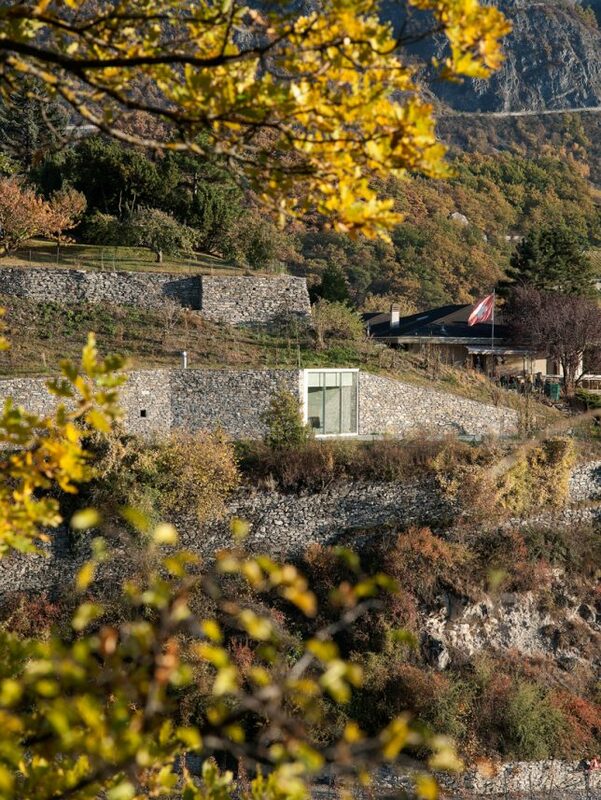 ‘Pavilion d’été a Sierre’ by Basicarella Architectes is a single-story summer home in the hills of Sierre, Switzerland, disguised within the natural landscape. 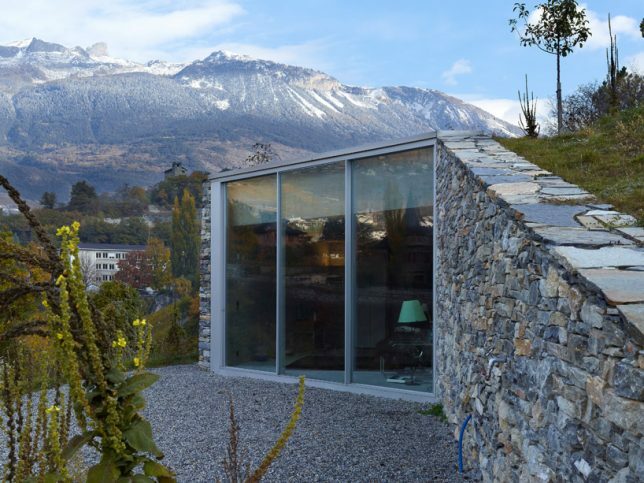 All that can be seen of the home from outside is a series of stone retaining walls and a single picture window. 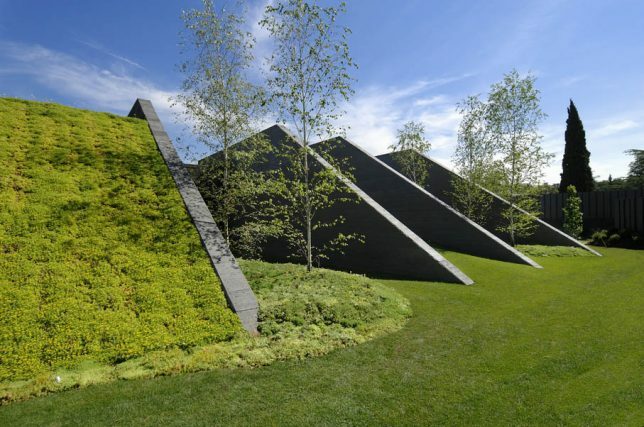 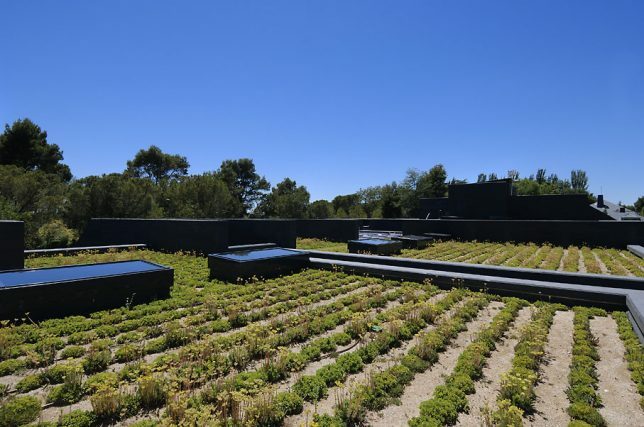 Located on the outskirts of Madrid, this single-family home by A-cero conceals most of its massive square footage beneath vegetation, as soil is built up on top of and between concrete ramps leading to the roof. 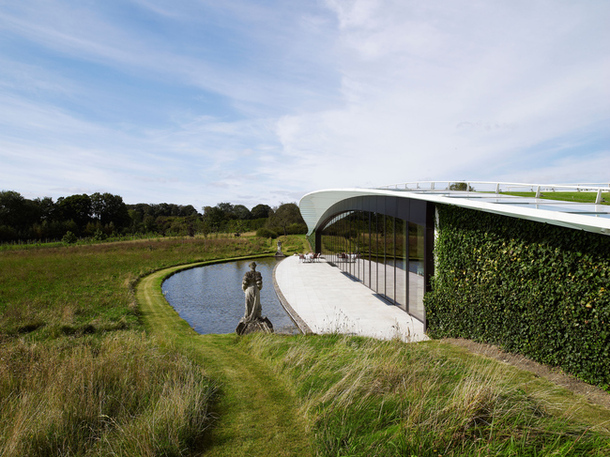 The back facade of the house is open to the garden and its reflecting pool, but from the front, the overall effect is that of a modern fort. 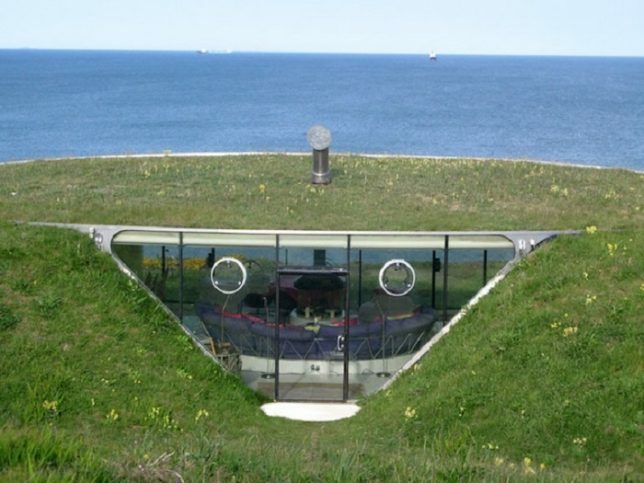 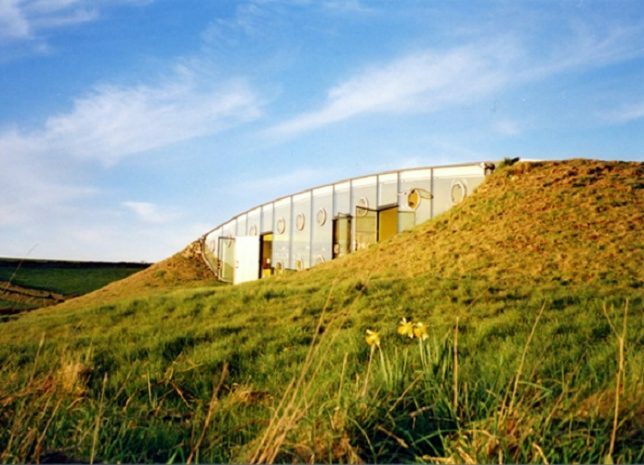 This vacation home designed for the philanthropist Lady Helen Hamlyn has earned the nickname ‘Teletubby House’ after the strange ‘90s British cartoon, since it bears a remarkable resemblance to the characters’ underground lairs. 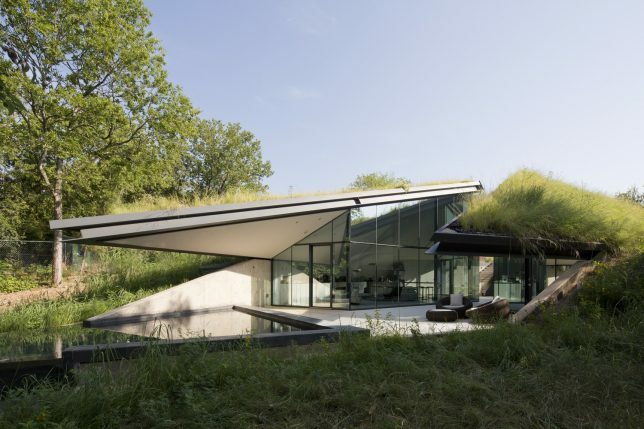 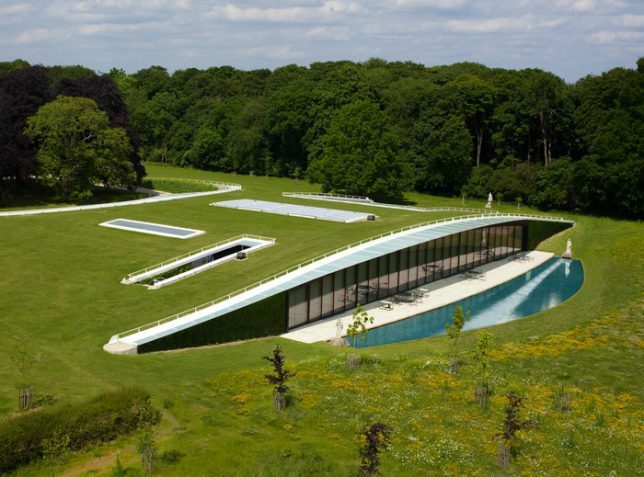 Holmewood House is built into the rolling Chiltern hills and features an indoor sunken swimming pool, four bedrooms and a crescent-shaped glass facade with the largest sliding doors in the world at 15 feet 10 inches wide. 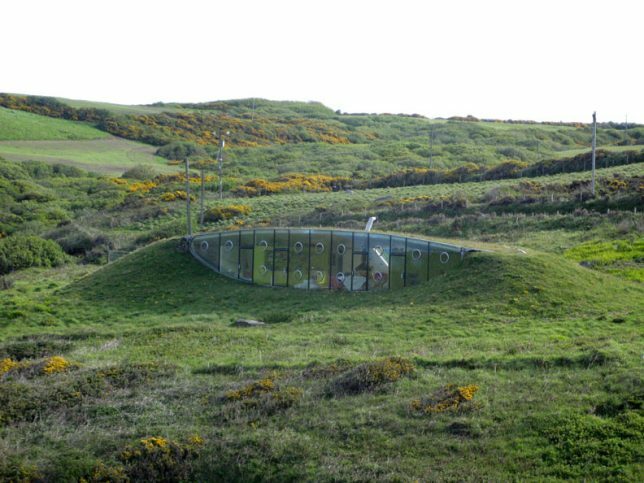 Approaching Edgeland house from either side, all you’d see is a slightly overgrown hill. 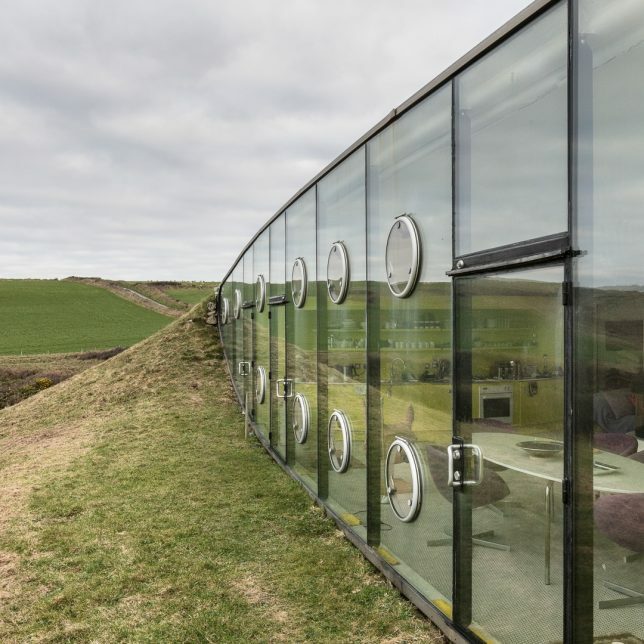 You’d be pretty surprised to climb it and find yourself looking down into an artificial crevasse of glass leading to a triangular swimming pool. 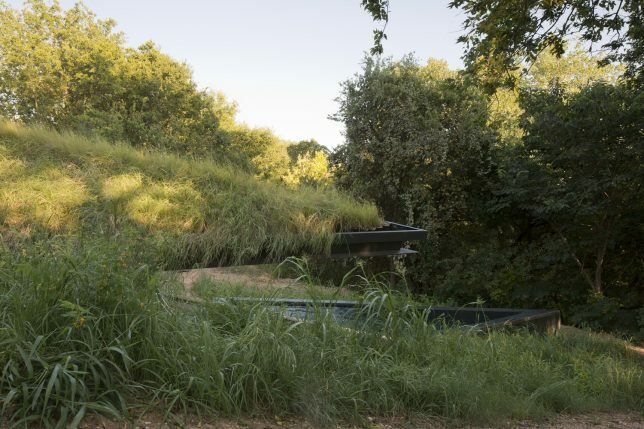 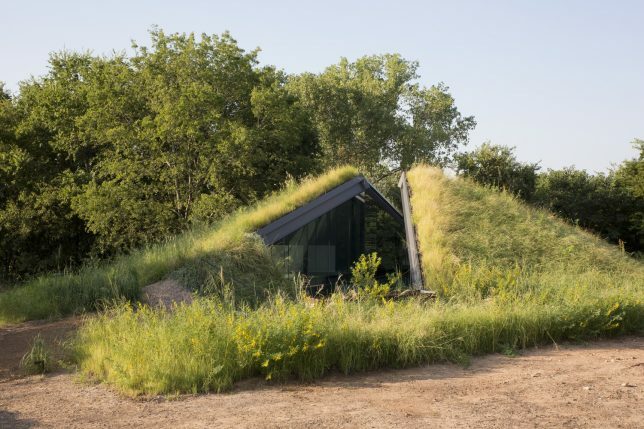 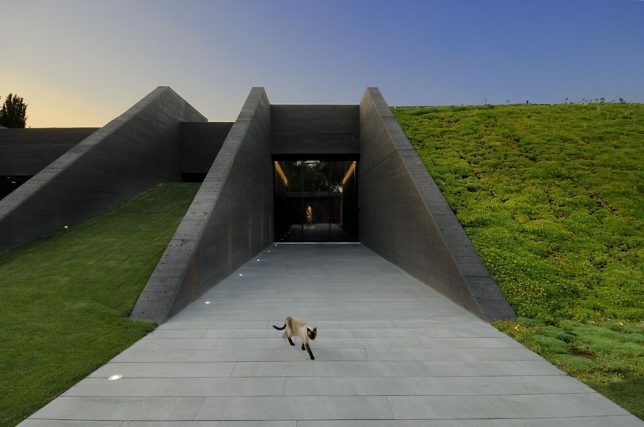 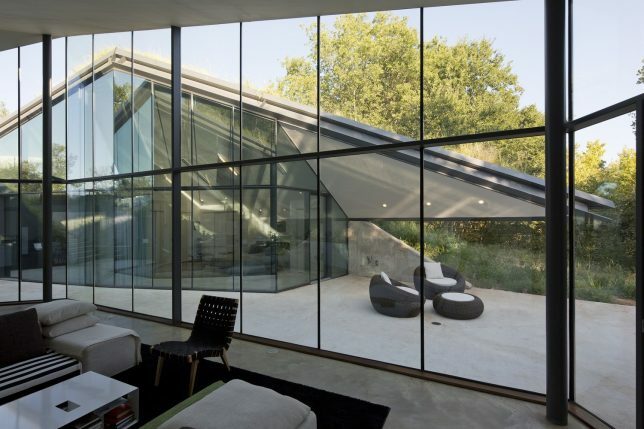 Bercy Chen Studio designed this unusual Austin, Texas home for a sci-fi writer “enthralled with 21st century human habitation in the urban frontiers of abandoned industrial zones.” It’s set on a reclaimed brownfield site that once cradled a Chevron pipeline.